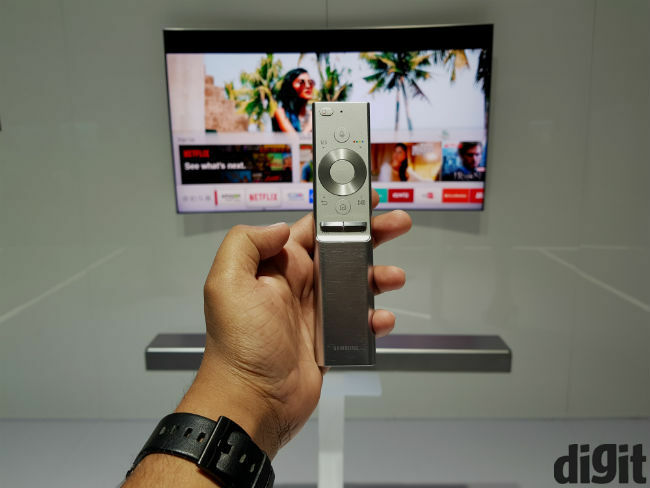 As far as India is concerned, LG was the first to bring us OLED televisions. Having tested some of those OLED TVs over the past couple of years, the technology’s prowess is beyond question. However, LG’s TVs were expensive and beyond most of our reach. So are the televisions we’re comparing today, but Samsung and Sony’s new TVs are strikingly cheaper than they used to be some years ago, and the hope is that the companies will eventually achieve enough volumes to bring such technology to us, the lesser souls. 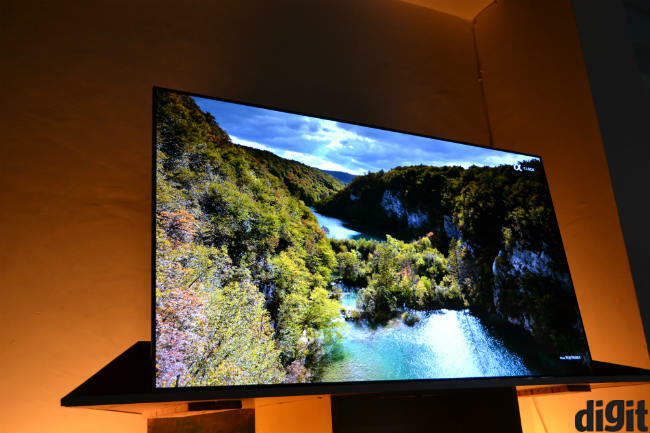 The Samsung QLED Q8C (review) is part of Samsung’s 2017 flagship line, as is the Sony OLED A1. 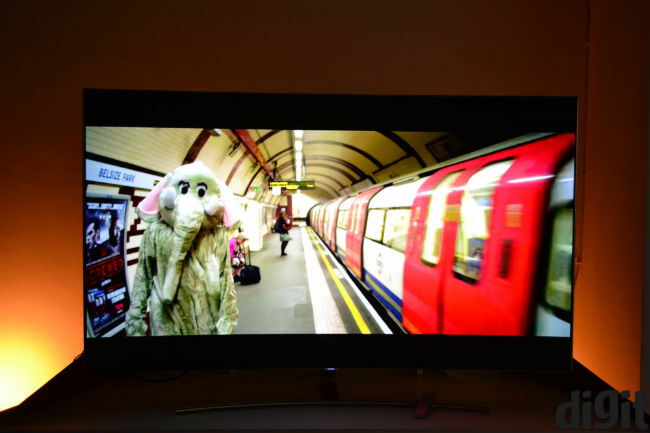 We tested 65-inch editions of both televisions, and as they say in The Flintstones, we had a “gay old time”. Unlike smartphones, televisions don’t really need to have metallic or glass designs all the time. So you would think, unless you’ve seen these two televisions. 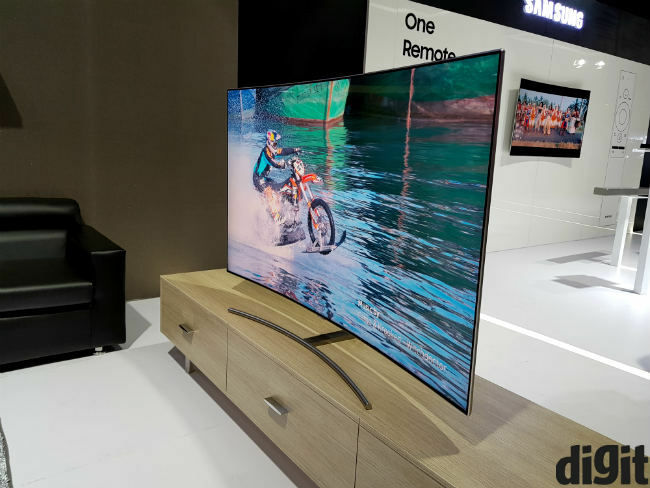 Samsung’s design language includes a curved television with chrome metallic finish, while Sony uses an ultra-slim and minimalistic design, accented with glass on the back. Both televisions are built to hide wires from plain sight. Samsung does this using what the company calls an “invisible cable” and its proprietary OneConnect box. The invisible cable is essentially a transparent cable that connects the television to the OneConnect box, which in turn acts as the hub for all your other cables. Once connected to the OneConnect, you can hide the rest of the cable to avoid showing wires. Additionally, while the cable is really long, to allow the OneConnect to be kept far away from the TV, it is wound around a circular frame to make it simpler to hide. On the other hand, Sony’s television uses a hybrid laptop like approach to hide all wires. You may not notice it at first, but the TV is tilted backwards by about 5 degrees when placed on a tabletop. There’s a kickstand that fits behind the TV and remains invisible to those looking at it from the front. The kickstand attaches to the glass back of the TV, and itself has a mesh-like cover on top, which hides all the ports, barring a single USB port. The idea is again to hide as much of the cable as possible, although almost all the ports here are facing downwards, making it quite difficult to attach cables to the port. You should be find as long as you do not need to connect and disconnect devices frequently. While both solutions do hide cables ably, Samsung’s method seems much simpler and would be easier to manage in average Indian homes. Neither of these TVs are meant for the average buyer, but this is just in case you choose to go the EMI. Hiding wires aside, both TVs are beautifully designed. Here though, we’d have to pick the OLED A1 as the champion of looks. The kickstand being invisible makes it literally feel like a screen placed on a tabletop. It’s a minimalistic, but exceptionally beautiful thing to have as part of your media centre. The QLED Q8C is great too, but we would ideally choose the Sony A1 over Samsung, if looks were the only criteria. Being part of the respective company’s flagship lines, both theA1 and Q8C have every feature you can think of. There are two main differences though. The first of course is the fact that the A1 supports both HDR10 and Dolby Vision content, which makes it inherently future proof. The Q8C is HDR ready, but it supports HDR 10 content only. 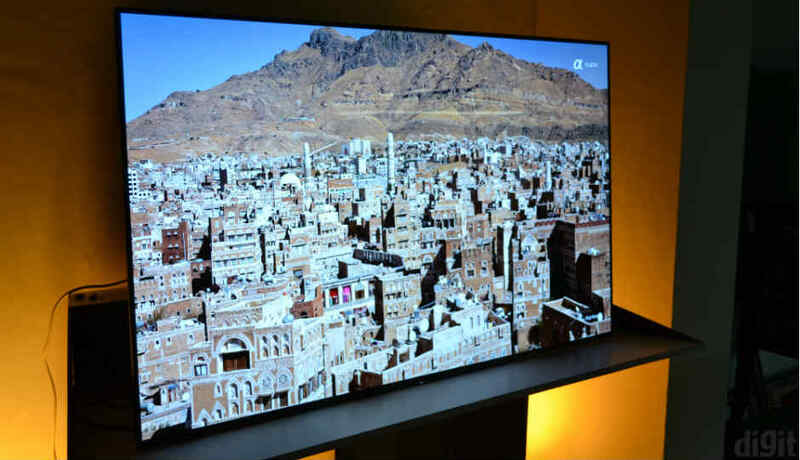 We’re assuming that you would want a TV worth lakhs to support all of the newest technologies, despite the fact that HDR content isn’t available aplenty yet. That gives Sony a distinct edge here. 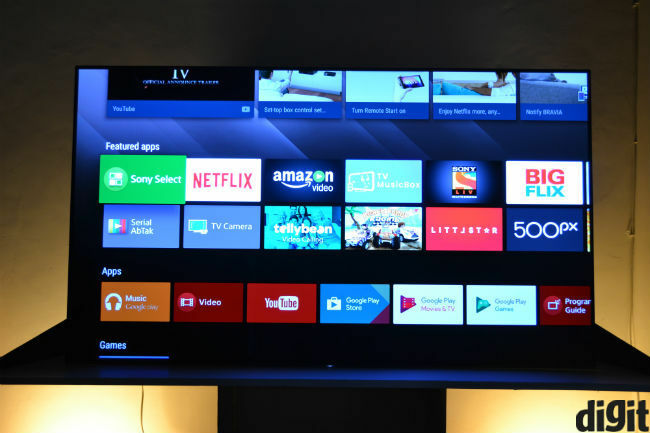 Next, the two TVs run on separate platforms, with Sony choosing to side with Google’s Android TV, while Samsung promotes its Tizen OS. Both platforms are sufficiently smooth, though Google’s OS seems to have slightly higher app support than Tizen at the moment. All the essential apps, like Netflix and Amazon Prime are still available on both though. As far as the operating systems are concerned, Samsung takes a slight lead here, because Tizen seems slightly faster and smoother than Android. Simply put, you see the loading circle fewer times on the Q8C than on the A1. Furthermore, Samsung tries its best to make all connected devices easily accessible, which is slightly more difficult on Android. 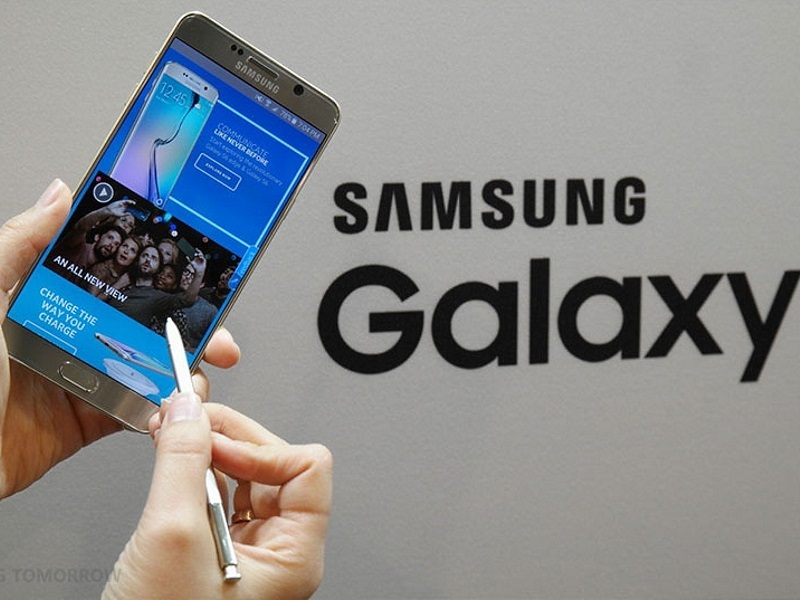 For instance, a hard drive connected to the A1 needs to be viewed from within the Album, Video or Music apps, whereas Samsung just puts an icon right on the home screen, making it simpler to access. A big advantage for the Q8C is in reading the hard drive. Ours is filled with gigabytes of data, and it took the OLED A1 over 20 minutes to read and present all of it for access. Lastly, both televisions use buttons on their remote, instead of touchpads or wand mechanisms. That makes it frustrating to type passwords and even scroll at times. LG’s WebOS remote would have been the best in this instance. When your television of choice is costs more than what many earn in a year, performance is paramount. Picture quality would ideally determine the winner here. The Samsung QLED Q8C sees a new iteration of Samsung’s Quantum dots, and it still aims to improve colour volumes. The television is the first to be certified for 100% of the DCI-P3 colour gamut, which is a useful thing to have for comparisons. DCI-P3 is the colour space used for movie projection etc. 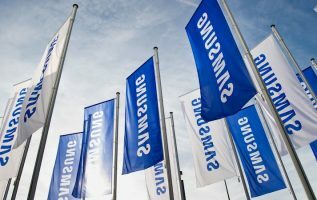 Samsung promises a 1000 nits bright panel, which is important for better HDR capabilities. The Q8C indeed is amongst the brightest panels we’ve tested, and it excels in terms of colours. In true Samsung fashion, colours are vibrant, punchy and slightly oversaturated. On the other hand, the Sony TV excels in producing more natural, yet vibrant colours. To the naked eye, the OLED panel certainly looks better, and our colorimeter tests prove the same. The A1 returned contrast ratio readings of over 180,000:1 against the Q8C’s decent 6620:1. The distinction seems huge on paper and though the A1 does produce superior picture quality, the Samsung TV really isn’t very far behind in terms of regular viewing. High contrast ratio on the Sony TV is part of the OLED promise (of “infinite contrast ratio”), but the A1 is even better than LG’s 2016 OLED TV we reviewed earlier. The A1 is not as bright as the Q8C, but it’s sufficient for regular viewing to be sure. Lower brightness is also a quality of OLEDs, compared to LCD panels. Similarly, the Q8C is noticeably louder than the A1, but audio quality is noticeably better on the A1. Sony uses something called “Acoustic Surface” technology, to turn the whole screen into a speaker. Tiny transducers behind the screen vibrate it, to produce audio. That mostly manages high frequencies, while there’s a sub-woofer inside the kickstand to manage bass. In practice, the A1 is loud enough to accommodate the ideal viewing distance associated with a 65-inch 4K OLED screen (5-8 feet), and a bit more. But, what it lacks in terms of loudness, it makes up for in terms of quality. Audio sounds richer, dialogue is crisp and it even suits music for the most part. The Q8C, on the other hand, focuses on loudness. In the scene where The Hulk thrashes Loki in The Avengers, the sound of the floor breaking beneath Loki’s body, or or shattering glass, sounds much better, impactful and realistic on the Sony A1. 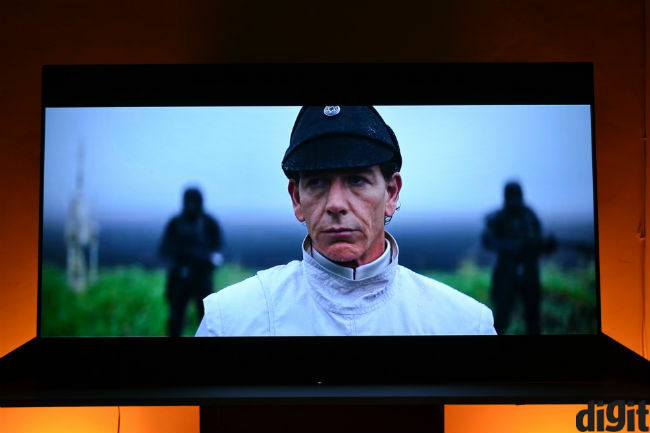 Overall, while the Samsung Q8C is certainly amongst the best TVs in the market today, the Sony OLED A1 is simply the best, as far as performance is concerned. It produces excellent picture quality, good audio and the right features for a high-end television. As with most gadgets in India, price plays the final role in the buying decision here, although at this range, few are considering differences of ten-odd thousand or more. The Sony OLED A1 (65-inch) is priced at around Rs. 4,64,000 in India, while the Samsung QLED Q8C will cost you about Rs. 4,49,000. You save about Rs. 1,00,000 if you buy the 55-inch versions of these TVs. Given the similarity in pricing, the Sony OLED A1 does seem the better choice. If you’re going to spend this much money, you might as well go for the best money can get today. The Samsung QLED Q8C isn’t a bad TV at all. It just happened to go up against what is almost certainly the best television of 2017. We haven’t reviewed the LG OLED E7 yet, so we’ll hold that distinction for a few more days. But all things considered, December is a few months away and the Sony OLED A1 is poised to take Digit’s Zero1 Award for best television this year.